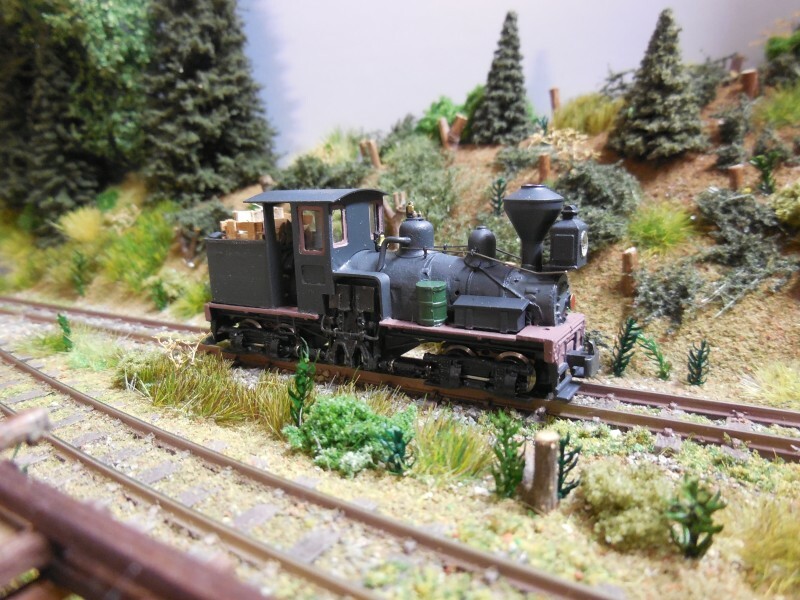 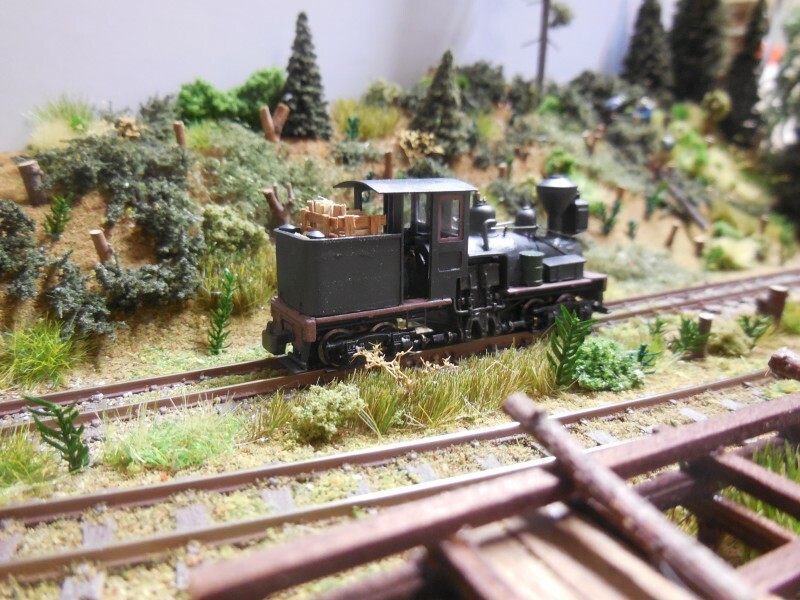 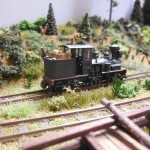 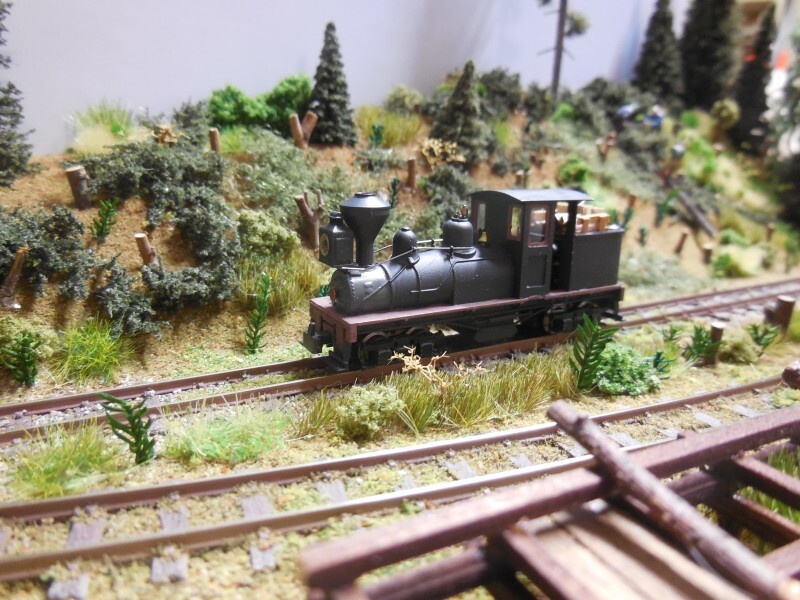 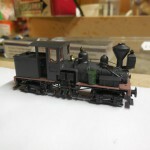 I finished my Molino-Shay within the last couple of days. 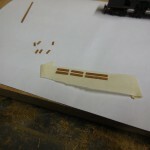 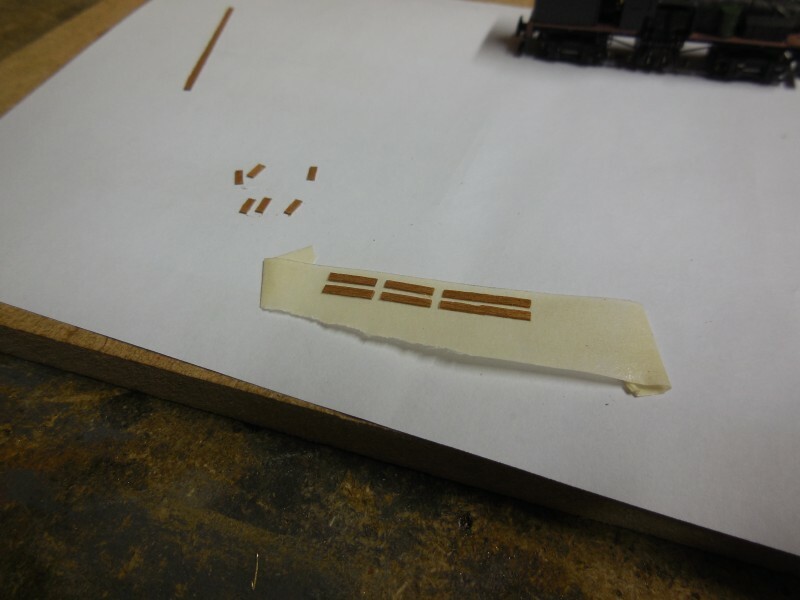 Since the body shell was mostly done, I spend some time to spend details to it like rivets on the tender tank, a trim along the top edge, piping and runboard supports. 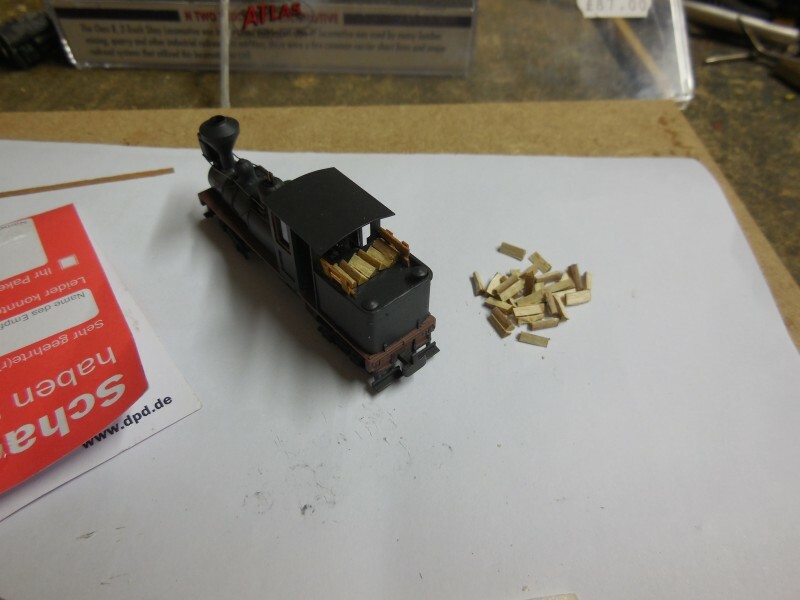 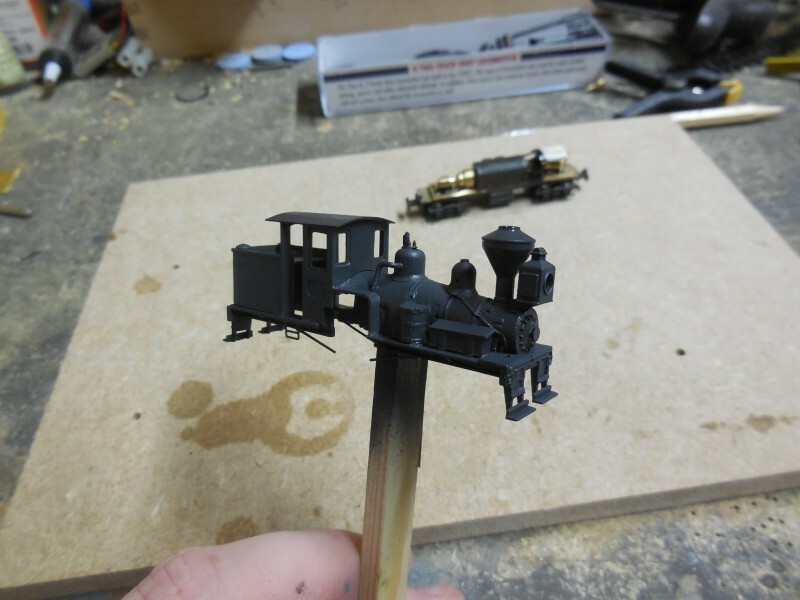 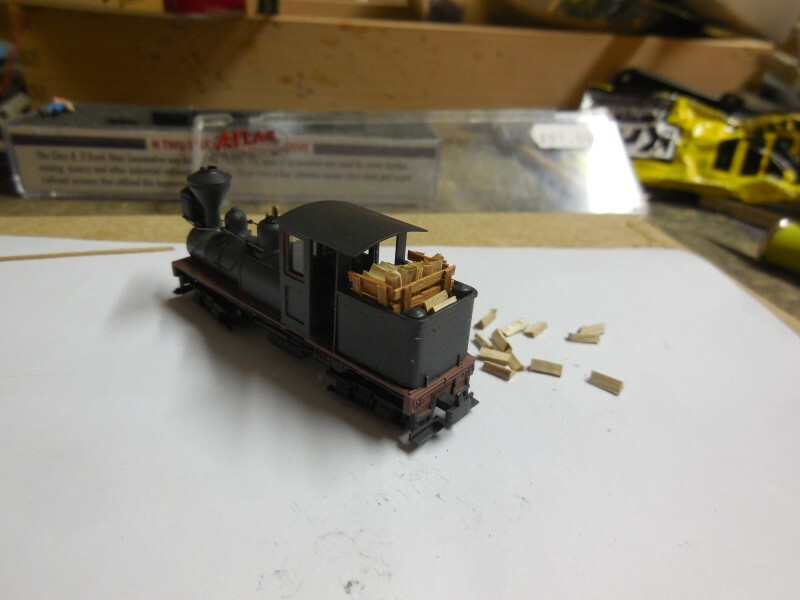 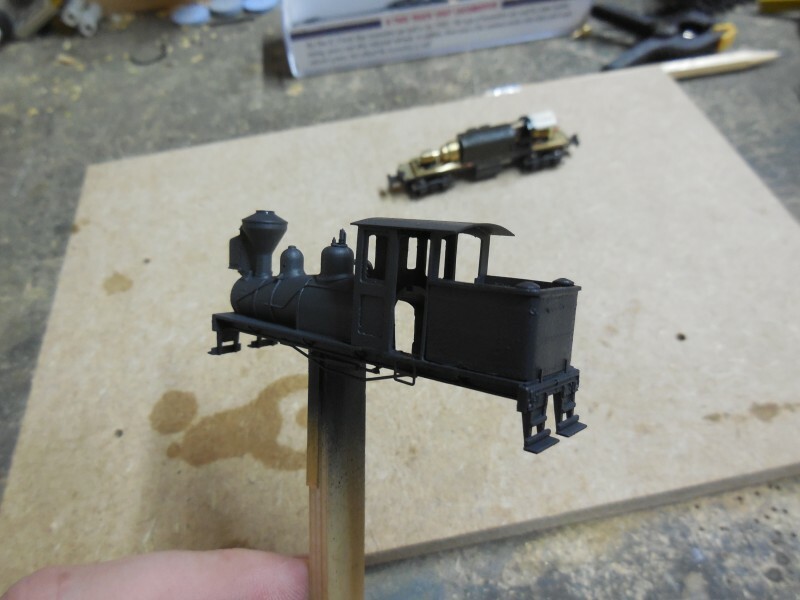 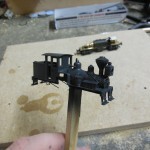 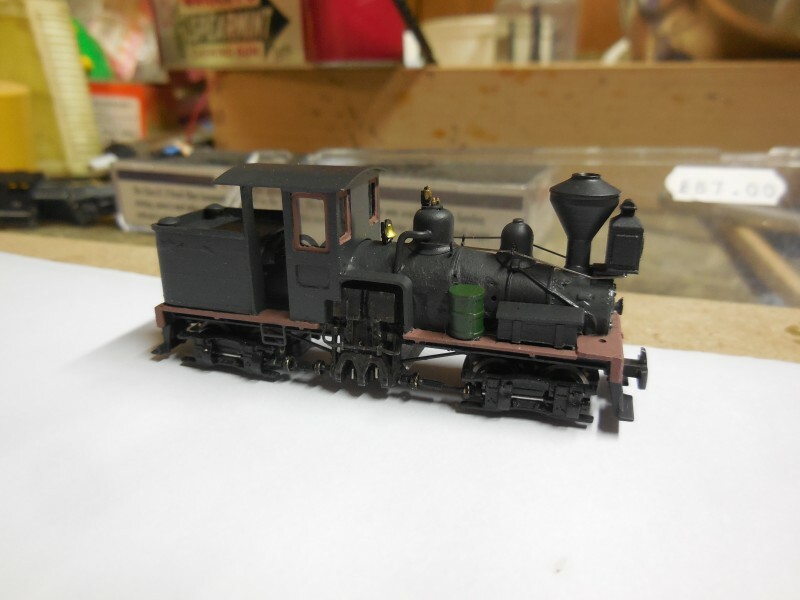 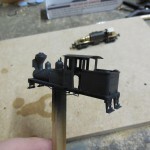 Once all parts were in place, I airbrushed the whole loco in black-grey as base coat. 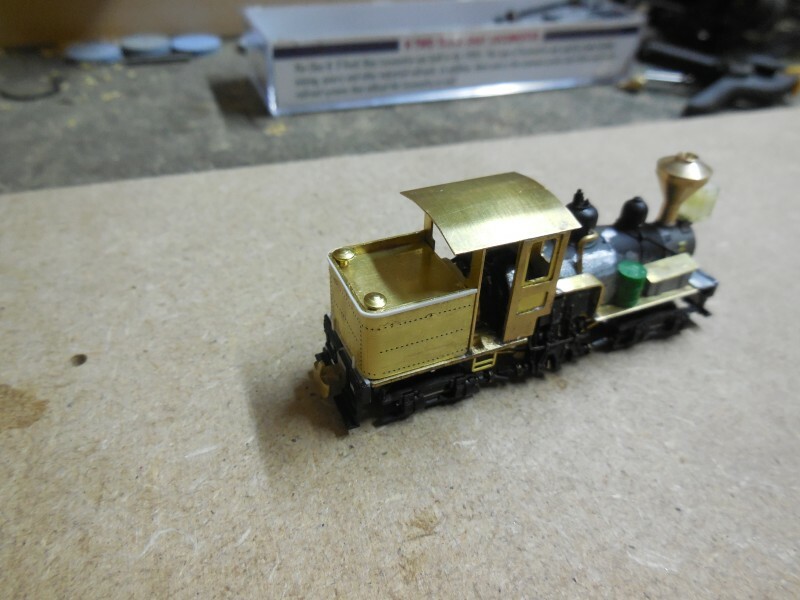 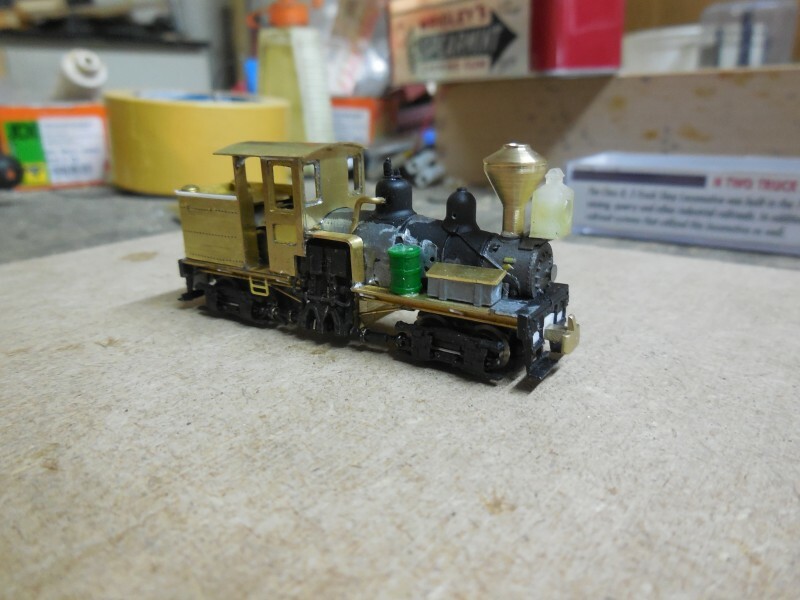 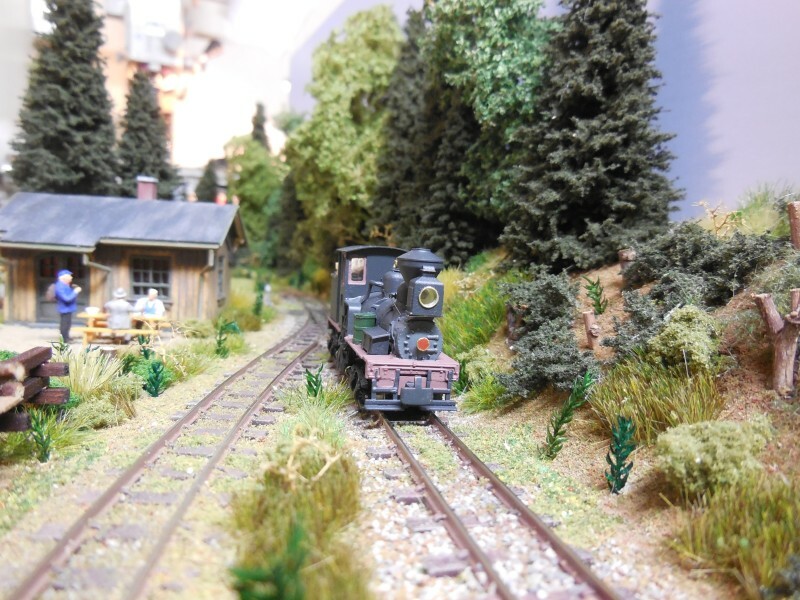 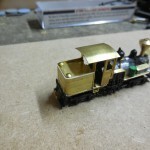 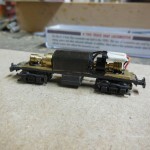 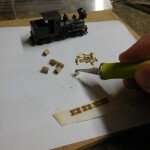 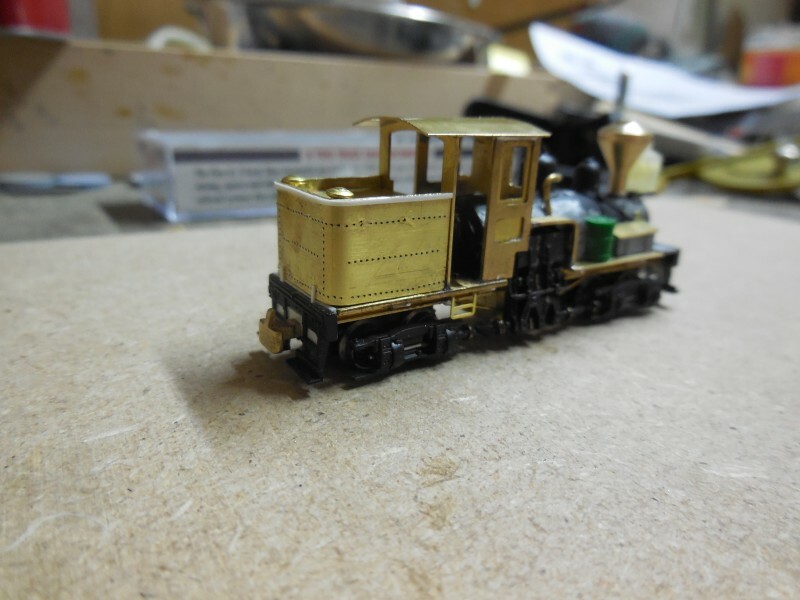 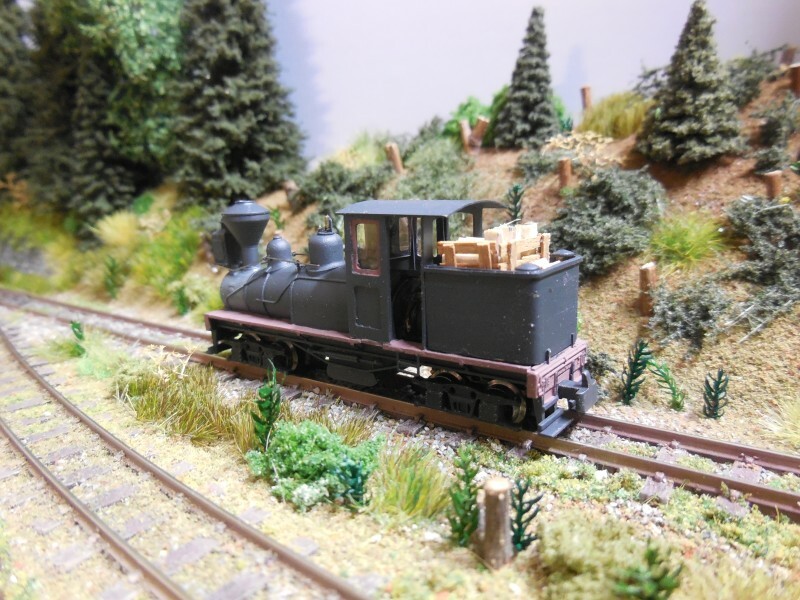 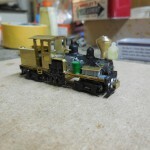 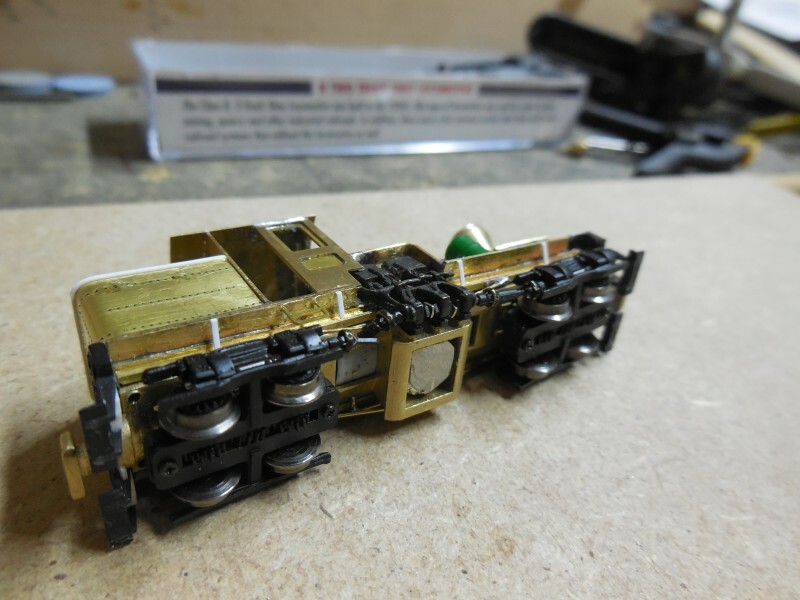 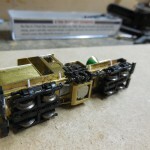 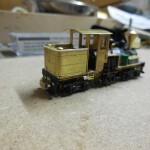 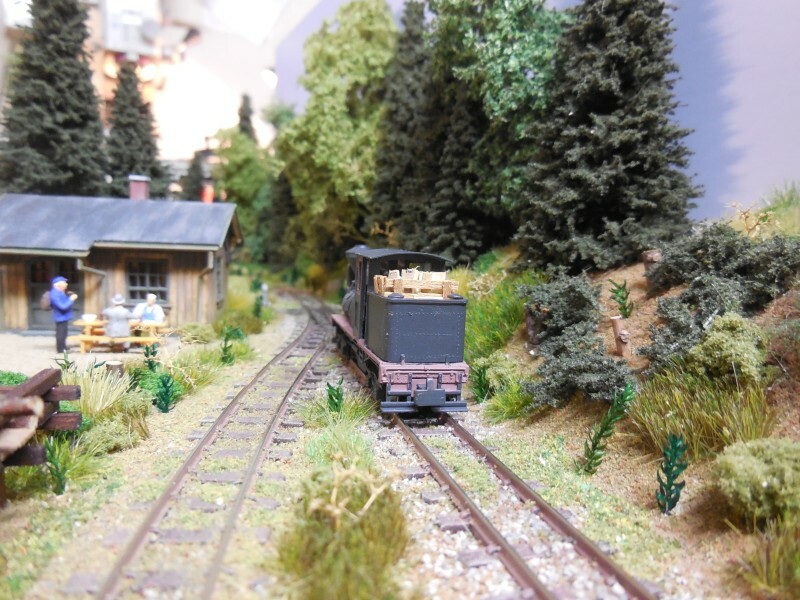 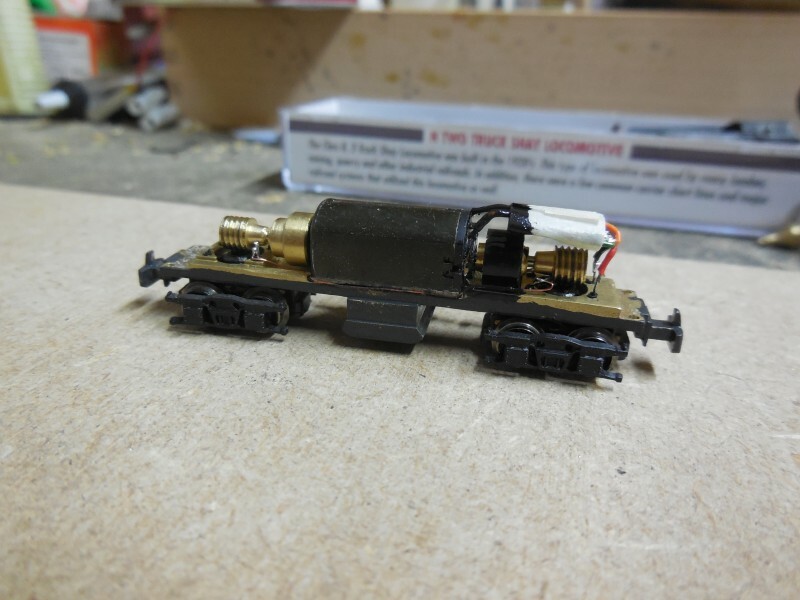 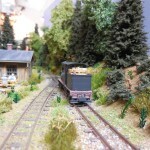 I then painted parts of the loco with a pencil to get the whole loco into the paint scheme for my Hon30 Shays. 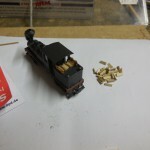 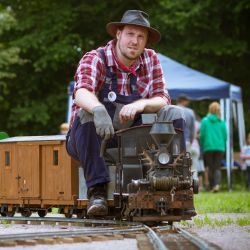 At least I glued the bell back in place and made the fire wood load for the tender. 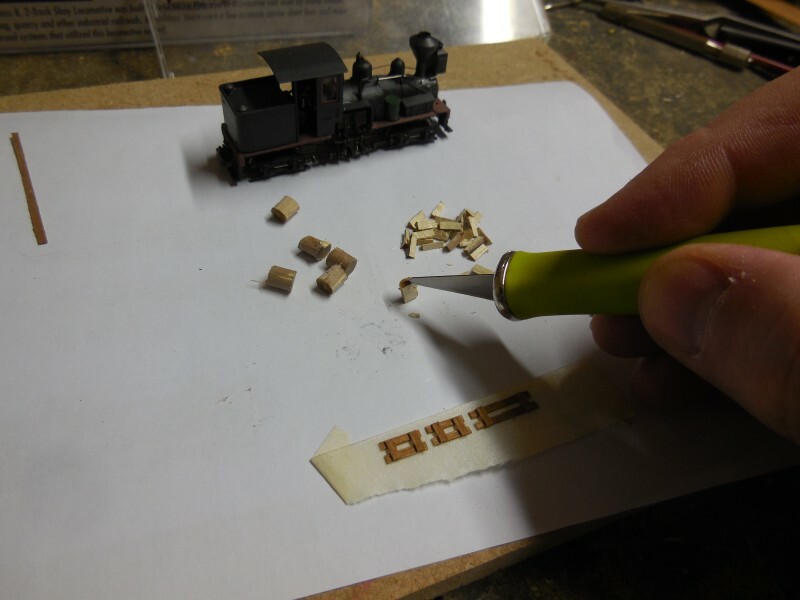 Therefore I cut twigs into fire wood and made fences from veneering wood. 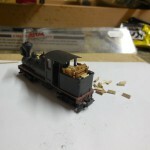 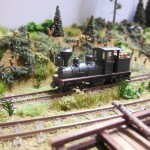 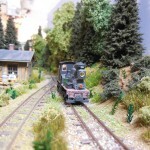 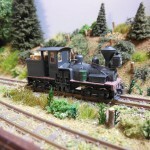 Now the loco is finished except for the road number. 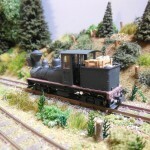 She runs very well, but the decoder still needs some programming.